My-Project-Management-Expert.com was founded and is currently run by Susan de Sousa. Susan has a hugely varied background. From derivatives trading to freelance journalism to entrepreneur and project management, she has been highly successful in numerous fields. Today she runs a global project management consultancy whilst also finding the time to advise global clients on social media strategies and presenting / speaking at conferences and academic institutions. In her spare time she is a rather good 8 and 9 ball pool player, current affairs addict (politics/news not X Factor! ), tap dancer and drummer. She will also admit to regularly riding the Boris Bikes in London! Susan has over 13 years experience in this area, and has managed some of the most complex, high profile cutting edge deliveries within the Mobile, Broadcaster, Gaming, New Media and Retail space. During this time she has managed numerous large infrastructure and software development programmes and projects successfully to budget and deadlines. She has also consulted in the UK, Europe, US and Dubai. Companies Susan has consulted at include ITV, Carphone Warehouse, Camelot (The National Lottery), Video Networks (Homechoice), CMP Information (United Business Media), NHS, Reuters, BSkyB, Products O2, 3, Virgin Megastores, Javelin Group, Hallmark Digital, Energis, MCI Worldcom, BBC Worldwide, MTV, Capita Mclarens, Kidznet and HolidayExpert. 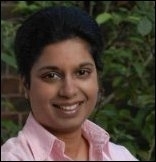 Susan has provided highly successful Internet and Social Media strategies for numerous blue chips companies including LexisNexis Butterworths, Nomensa, EMAP, ITV, iRepli, Practicus and Guess & GC Watches. Susan is a much sought after international speaker as well as contributor to both media and TV. She has spoken in the past couple of months at The Insitute of Engineering and Technology, The Institute of Directors, City Business Library and the Minerva Network. She has also previously been featured on BBC Business Breakfast, Channel 4 News, The Guardian, The Evening Standard, Business Life and Computer News ME. Susan has done stints as an OTC Equity Index Derivatives Trader in London / Chicago and also as a Freelance Journalist for publications such as Banker ME, HSJ, GQ Active and The Big Issue. 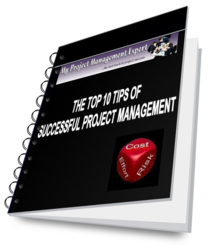 I hope you've enjoyed visiting My-Project-Management-Expert.com and found the information here useful. This site is regularly updated so to ensure you don't miss out please join our free newsletter or RSS feed. If you have any comments, advertising queries, questions or if you would like to write for us, please use the Contact Us page. We look forward to hearing from you!